Request Appointment Why wait? Contact us now! Our Services How we care for your pet Online Forms Print out now & save time! We offer gentle, expert care for your canine and feline companions including routine care, surgeries and procedures. We care for your pet throughout their life. Compassionate care makes all the difference! We have a veterinarian and staff on duty 5 days a week who are trained and equipped to handle any urgent care your pet needs. We are here when you need us! If your pet ever needs emergency care call us immediately. From touch-ups, to baths, to complete doggy makeovers! 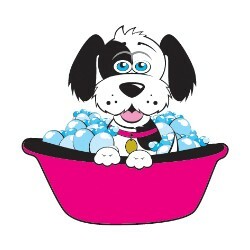 Our expert groomer, Rachel Trice, will have your pet cleaned up, trimmed and looking spiffy in no time! Call us to set up your grooming appointment for your pet. WE HAVE A NEW GROOMER!! !